What a surprising collaboration that this one; a pioneer of Berlin School electronic music genre in Mario Schönwälder and a young wolf who likes rhythms a bit more techno in Thomas Fanger. The result is beyond expectations. “Analog Overdose” is a festivity for vintage EM. It's about 80 minutes of soft EM where some vaporous ambiences are next to slightly technoïd rhythms. Fanger/Schönwälder offers a superb album to the dimension of their talents. And believe me, they have some. And for this 1st collaboration, the duet offers nothing less than Lutz Ulbrich on guitars, adding so the spirit and the loops rhythms of Ashra on a work to the size of vintage Berlin School. We would think of a reincarnation of Ashra Temple in the skin of Tangerine Dream and Klaus Schulze. What to ask more? That it's good? Indeed and it's even more! It's in a twisted ambience that "Analog Moods" opens. Slightly weak pulsations are shaking the synth lines to the braids filled by somber hoarse and guttural vibrations. Sublimate, these synths widen their enveloping pads which move such as ghosts of ether floating in blue mist, creating a ghostly world where the unreal is coupling with the jingles of cymbals in order to merge into a soft cerebral hypnosis. A line of sequences with some nervous limpid chords flickers around this procession of which the synth lines hum like a choir of spectres prisoner of the iridescent mists, while the rhythm of "Analog Moods" takes off with more steady pulsations of which the deaf beatings are beating the pace under the flexiblility of the sequences to the comings and goings which are anchored with more velocity. This structure of static rhythm, surrounded by these nervous sequences, accentuates the exhilarating of a musical hypnosis that some breezes of a fluty Mellotron rock beyond the very ambient "emanoN". With "Und wir gehen in den Club", we dive into the ambiences of dance club which fits into the lineage of Ashra's Sauce Hollandaise. The rhythm is cheerful on a kind of disco groove with a guitar which throws its harmonious loops on a tempo where the minimalist pulsations, the slamming of virtual hands and the jingles of cymbals form the basis of a slightly hopping structure. Listen to and delight yourself of these sound effects which wind and are embedded in the rhythms. It's a skillful mixture of intimist jungle and urban groove, where the guitar of Ulbrich brings a very Ashra touch to a cheerful and dynamic music which brings the energy to the body and the rhythm in feet. How to describe "Sentimental Moods"? Imagine a man eaten away by his past which paces up and down a hill of which the top he never sees. The ascension is difficult and the head is full of souvenirs. Sometimes happy ones and other times a little less. So, that's the kind of upward spiral that is "Sentimental Moods". On a structure of sequences which calls back strangely Robert Schröeder's melancholic universe, "Sentimental Moods" has difficulty in juggling with its rhythm of which the furtive pulsations hesitate to forge a steady rhythm which is invades by some dense foggy as iridescent than misty and where the orchestral sails and absent rustles weave an unreal harmonious painting. The ambiences are outstanding and Fanger/Schönwälder are sculpting an incredible movement, deserving of the best hypnotic moments of Robert Schröeder and Klaus Schulze, on sequences which evolve slowly. Sequences to dark jolts which shape a dreamy tempo beneath synths to the ethereal pads of which the variances in their harmonies melt themselves in a nebulous and melodious symbiosis where are dragging mislaid chords and quirky tones. It's a wonderful track and a classic to become in the repertoire of Fanger/Schönwälder. With its smooth lunar tom-toms, "Seilbahn zu den Sternen" surfs on the ambiospheric tranquillity of "Sentimental Moods". Although the tempo is slightly more livened up, the musical envelope remains very morphic and nebulous with beautiful pads to the perfumes of foggy violins which wrap some fine tremulous guitar riffs cooing in loops, feeding this strange spectral procession that the tangent is forking towards an unusual world where are beating some metallic rustles, cackling strange tones and hooting sighs of singing metal. "Echo God" and "First Contact" are the two other tracks with Lutz Ulbrich on guitars. And one would believe to be really in an album of Ashra, especially with "Echo God" which offers a rhythmic pattern comparable to "Und wir gehen in den Club" but with more vigour, throwing so the skeleton of a heavy organic techno. And the ambience is breathtaking with these hoops which whistle in the shadow of solos and of riffs which roll in loops on a pulsatory rhythm which has to nothing envy to all those psy-trance of this world. And a superb ghostly solo comes to add more depth to a track which amazes, both by its musicality and its resemblance with the works of Ashra or still Manuel Gottsching. "First Contact" is more ethereal with a structure of minimalist sequences which draw an in and out movement, or an ambient cha-cha, of which the slowness swirls under the assaults of a guitar to corrosive solos and with riffs rolling in loops in a harmonious envelope. The rhythm is blooming with more mordant, allying the spasmodic neurosis in a more fluid spiral where sing the solos became more lunar. Recorded live, in Berlin on March 31st 2001, the title-track is in the purest of the Berlin School traditions with a long structure with slow minimalist evolutions. Straight out, the seraphic intro is snatched by a movement of agile sequences which swirls in the breezes of ether, a little as in "Sentimental Moods" plus the angelic voices. Quavering, a little as if the loops of Lutz Ulbrich were pre-recorded, the rhythm is galloping with a retained frenzy on a more fluid pace. It's the ideal pace for improvisations and for graft in it these chords which enrich the musical vocabulary of "Analog Overdose" whose rhythmic skeleton moves hardly while that the ambiospherical envelope is haunted by the ghostly breaths of a synth which inhale the spectral atmospheres of the Dream. And it's in this torment that the harmonies take shape. Short solos, breezes of fluty Mellotron and floating synth pads weave the faces of a melody that only spectres can hum while that the synths fly over this paranormal mood of a thick cloud of streaks and strata which forge in the end the absent, discreet and finally vindictive solos. And gradually the tempo wins in power while being maintained by troops of orchestral mists, maintaining the implosive power of "Analog Overdose" in its stationary yoke where come from all sides the solos to hybrid tones emanating from two synths to the antipodes of their harmonies. This is Schulze on Tangerine Dream, or vice versa, but it's before all an overdose of vintage EM that is at no moment lethal but strongly recommendable. 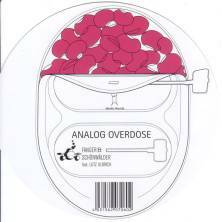 “Analog Overdose” is the only harmless overdose to the health, although a habituation can build up itself in an insidious way but the pleasure will remain always healthy. It's a superb opus that will please to fans of vintage Berlin School for sure. The ambience of Ashra or Gottsching is incredibly inlayed on each of the tracks where Lutz Ulbrich spreads the musicality of his guitar, even that's overflows on the title-track, offering an unsuspected depth to a work which is so astride as the atmospheres of the Teutonic movement and of its several tentacles. It's a musical feast where all the gourmands of the analog EM are invited, as well as those who have an appetite restricted but always ready to taste something spicier. Go get it...if there are still some left. Sequences, disguised in the shape of Persian percussions, form the bed of the static and bubbling rhythm which opens this new timeless musical adventure of Fanger/Schönwälder. From the outset, we recognized ourselves in this motionless rhythm which pounds with its frenzied pulsations while the synths throw its twisted reverberations and its delicate fluty mists. A movement of bass sequence sets the pace for a structure of ascending rhythm and "Triumphant Return" takes its slow rhythmic flight under the acid rains of synths to the lamentations and tones as much vintages as quirky. And, as the masters that they are in the art of the electronic minimalist Teutonic movement, Thomas Fanger and Mario Schönwälder lay down the bases of a circular rhythm which grows with a movement of more jerky sequences of which the slightly stroboscopic jolts spin in a sound fauna so heterogeneous and poetic than psychedelic. Available in a pocket digipack format and in only 500 copies, “Analog Overdose in the Applebaum Nebula” is a work recorded at the very beginning of the new century, thus one of the first works of Fanger/Schönwälder, which serves the needs for a book written by Matt Howarth, available in PDF on the cd, about the story of the psychedelicosmic German duet. A necessity? Obviously that if we are a fan of the duet or/and if we miss the psybient moves of wanderings from Tangerine Dream; the question doesn't even need to be asked. And it's this crowding with the vintages works of Tangerine Dream which jumps in our ears with the quiet and the ambiospherical "Nebula Symphony", about whom the title speaks by itself. It's a soft piece of interstellar ambience, a kind of fusion between Tangerine Dream and Jean Michel Jarre, where we let oneself be rocked by these soft sound waves which roll slowly on the back of stars. Quietly we are drifting towards "Sabrini's Escape" and its shy chords which dip the end of their tones on a movement of furtive sequences where, of the tip of their uncertain rhythm, they form a heady hypnotic spiral. And it is the frenzy. Deformed percussions, spectral lamentations, vague voices and tones, that only an electronic world can make oniric, encircle this delicate poetic arabesque. And it's the sublimity of these soft movements of wanderings and cerebral hypnosis unique to Berlin School which seizes our ears with a rhythm devoured by sequences with tones became of metal of which the fine circular line is chopping this movement of musing where strolls a synth and its dreamy solos. Now this is what we call a great track! "The Core's First Initiative" plunges us into the atmospheric phases of a black cosmos, deviating with lifelessness towards the tenebrous whispers of a final which falls into a still ambient, but more musical, approach of "Kino's Piece" and of its dreamy piano which spreads its melancholy notes in the seraphic sighs of fallen angels. "The Lure Harc" takes possession this phase of serenity to lay down a carpet of silvery mist. It's a prelude to loud sequences which dance in a heavy cacophonous approach. These sequences get astray in the arches of resonance of blazing chords which soak into emptiness and spread an atmosphere of corrosive nebulosity, bringing “Analog Overdose in the Applebaum Nebula” in a dark ending where the breezes are sighing and the murmurs turn into disturbing whispers. The diehard fans of the vintage years psychedelic EM will love this latest album of a work mislaid on the shelves of time by the Fanger/Schönwälder duo. A chance that Matt Howarth had a story to tell, because we would have never heard the great "Sabrini's Escape". 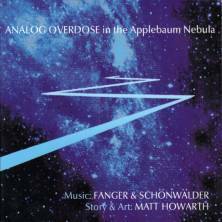 “Analog Overdose in the Applebaum Nebula” is a beautiful album which, without reinvent the genre, shows the endless possibilities of an art that likes to slay its detractors with a musicality, and of by its minimalist structures, constantly mesmerizing. This is great EM which honors the works of its precursors. 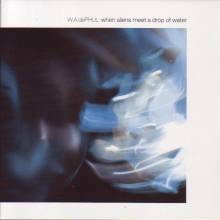 I understood, when I went to the discovering of When Aliens Meet a Drop of Water, that Ralf Wadephul was quite a character who liked to bring a very theatrical touch to his music. It is thus to no one's great surprise that I learnt that he is now a well respected freelance sound engineer and that he mainly makes the final mixing of German versions of movies for cinema and television. And that's exactly this atmosphere of electronic party, where the fantasy is next to the limits of an imagination which finds all its depth in the shade of synths and sequencers, that we find on his first album solo and on “Ich Bin Ein Berliner”. Here is a very patriotic title (I' m a Berliner) for a performance given within the framework of the 40th anniversary of the Berlin School movement. And nevertheless Ralf Wadephul has nothing of an artist soaked by this minimalist and hypnotic artistic approach. Oh no that he is not! Accompanied by Thorsten Wagner, on guitars, Kai Wiegert, on bass and Heiko Gigner on percussions; W.A.dePHUL (the name of his band) delivers a surprising performance which respects all the megalomania of this sci-fi eater and of his music weaved in the explosives recollections of Optical Race, but with a clearly more intense musicality and a clear tendency for heavy electronic progressive rock decorated with subtle orchestral arrangements. "Ghosts in the Satellite" is the only new music signed by Ralf Wadephul to appear on “Ich Bin Ein Berliner”. The intro offers a kind of prelude for a TV broadcast news show with a variety of tones and static cracklings which fade little by little to leave room to a hopping rhythm. A dark organ pad flies over the first steps of this tempo a bit simplistic while that a synth spreads a harmonic veil mi-spectral and mi-sci-fi on a track which rocks its harmonies on a structure more centred on a soft rock progressive kind of EM. "Remember '88 (Incl. Neptune's Cave)" begins with a vocoder, creating a brief moment of cybernetic ambience before that the first agreements of Neptune Cave make themselves hear. The interpretation is softer and gives the shape of a very down-tempo to the track. The atmospheric section in the middle is longer and includes the use of a vocoder, while the ambience around it is more fed, more compact. But altogether it still remains a very beautiful performance of a track which seems to be, and with good reason, one of the favorite of the audience. "Into the Thunder" and "Suffering Sharks" respect the parameters of When Aliens Meet a Drop of Water, whereas "Endless Blue" offers a kind of blues and lounge structure with a Ralf Wadephul talking to the public of an apathetic voice. I prefer this version where the saxophone is splendidly replaced by of soft synth solos, showing that the sax really adds nothing to EM, and that the guitar is silkier, dreamier. I didn't recall at all that "Sungate", from the Optical Race album, had been co written by Ralf and Edgar Froese, thus it's with surprise that I saw it on the album set list. And still there, the interpretation is tinted of blues. A great electronic blues as much suggestive as it can be dreamy with a mordant guitar which mixes quiet well enough its solos and heavy riffs without ever distorting this melodious portion which always does its effect. The big ghostly layers of the Phantom of the Opera organ are flowing loudly on the opening of "Encore" before lighting a heavy atmospheric phase. This last nameless track gets out of its organ-nic coma, to dive into the unreal with a robotic and electronic version of Van Halen's (yes,yes) Jump, where solos of synth and guitars are sharing a furious fight of solo entities which will never manage to make us forget the original, but the game was worth the candle. 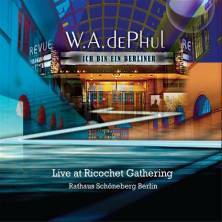 Unpretentious, and with an enormous respect for his audience, Ralf Wadephul, or W.A.dePHUL, delivers a performance which seems as energizing as his music. I was pleasantly surprised by When Aliens Meet a Drop of Water and “Ich Bin Ein Berliner” exploits deeply the strength of this amazing album that I have no shame to recommend. This is a very good live album weaved in the approaches that Tangerine Dream ran during its 220 Volts tour, either some furious and inspired e-rock. It's a beautiful album which shows that EM can also lift its passions in concert. That would be pleasant to have a video version. Tangerine Dream's Melrose years weren't my favorites at all. I quite liked a part of Optical Race, but I downright dropped out with Lily on the Beach. What is the link with Ralf Wadephul? Well it's him who has replaced Chris Franke during the making of Optical Race and the American tour which follows at the early autumn of 1988. It's from that era that lies half of the tracks of this first album in solo from the lightning visit in the multiple faces of Tangerine Dream. Released on Manikin label in 2008, “When Aliens Meet a Drop of Water” stands on two parts. The first one consists of 8 new compositions, while the second part is an answer to TD's Blue Dawn where Edgar Froese had rearranged 8 compositions that W.A.dePHUL wrote in 1988 when he was touring with Edgar and Paul Haslinger. On his Web site, Ralf Wadephul explains that the way Edgar Froese had worked his compositions didn't reflected his vision. It's thus with apprehension, and having received Ich Bin Ein Berliner, that I began the analysis of “When Aliens Meet a Drop of Water” and frankly I was pleasantly surprised. Ralf Wadephul dilutes skillfully an EM which inhales the rhythmic warheads of Optical Race, but with a more intense and more audacious musical envelope where the big electronic rock, casted in heavy and sharp-edged riffs as well as in hammered percussions and sequences at knocks of thousand rhythmic jumps, is transporting melodies dipped into intense film approaches. I got to say that it's beautiful discovery where Ralf Wadephul surfs, without hiding it, on the recollections of Optical Race and navigates between rock, prog and symphonic EM. "Cosmic Cruiser" seizes of the anemic breath of "To Earth? Why Not!" to offer the first similarities with Optical Race. It's a well balanced electronic rock which makes grimace. Even if the solos are sharp, the rhythm remains fragile and is very near of the Dream hairpieces of the Melrose years. It's with "1st Sunlight" that Ralf Wadephul spreads his trap of musical attraction. Yet the melody is simplistic; a beautiful line of arpeggios pearled of fluty breaths waddles as an innocent lullaby, drawing an earworm which camps for a while in our brain. Whereas the melody bewitches time, the rhythmic structure lays down a more and more marked progression before falling towards a beautiful ballad abundantly watered by guitar solos. By the way, who plays guitar on “When Aliens Meet a Drop of Water”? It's an unknown guest and he plays quite well. After this beautiful and very innocent pearl, "Endless Blue" crosses the waves which roll constantly on background to offer a very Dreamish structure with a sax à la Linda Spa which wraps of its suave breezes another melodious pattern which ends with a more solid rhythmic where are bickering in duel a sax and a guitar. "Into the Thunder" follows with a big heavy electronic rock. The rhythm is curt, jerky and follows the strikings of percussions which unite their knocks with sequences strummed with confidence. Orchestral pads dismount the twisted solos of synth which run on a steady rhythm while that "Into the Thunder" increases its strength and its swiftness to offer a livelier pace where organ pads, synth solos, explosions of percussions and heavy riffs of guitar and of its acuteness solos plunge the track in the middle of a symphonic and progressive electronic rock. "Suffering Sharks" tempers the heats with its approach of lunar lullaby which coos in a bath of cybernetic sound effects. One would say an electromagnetic storm when some fine arpeggios ring like in those messages of the old submarines on a line of sequence to the undulatory charms. The melody is offered by a synth to the drawling and wandering lines. A synth which releases airs of déjà vu while the track takes a film bend, allying an unbridled rhythm which gallops like a solitary rider on the plains of Pluto. The synth is very harmonious with a tone closer of progressive rock, we think of Pink Floyd and One of these Days, than of the purely electronic. It's a very good track with a tempo in constant progression which is dying of its Babylonian approach. These rhythms and melodies in perpetual movement are the strength of this Ralf Wadephul's first album and "Neptun's Cave" is eaten from the inside throughout its 11 minutes. It's a very good track with a melodious portion which seems to be taking out of the Optical Race sessions with an acoustic guitar, or sort of, which seems to have inspired one or two tracks on Lily on the Beach. The synth is suave. It forges a beautiful melody which breathes the joy of life. The rhythm is soft, just like the ballads that the Dream used to make at this time. So, this delicate melody falls in a nothingness of lost tones and chords to fan itself on a meshing of pulsations and percussions which moulds a static rhythm that a synth waters with soft solos flying in a strange spectral envelope. And gradually, "Neptun's Cave" dives into a big e-rock where pads in tones of organs and heavy orchestrations hold a harmonious approach which is flooded in a torrent of intensity and decibels. And the reborn of this Dantesque oblivion to whisper us this enchanting tune which has difficulty to leave our eardrums. This is a great track that your brain will recall days later. "Paradise Island" is another beautiful e-ballad supported by a beautiful play of percussions and by some lively riffs from an acoustic guitar. The rhythm remains steady and throws in our ears their fine melodic variances which are caressed by a synth sometimes serene and sometimes belligerent with very good solos in the shapes of guitar and quirky tones which go against the harmonious structure. "Praying for Rain" presents a structure strongly livened up by crazy sequences which climb and go down on a dislocated skeleton. The structure of the rhythm reminds me a little of Cat Scan, but the melody is almost non-existent. Explosions of percussions remind us the genesis of the track’s naming while that the ghostly synth gets lost in a structure which increases ceaselessly its intensity, but not its shape, to end in a totally unexpected philharmonic envelope. Heavy and lively, "Dancing with the Clouds" is a nice ballad decorated by crystalline ringings and by beautiful solos of guitar which would copulated very well with "Paradise Island", while that "Natural Melancholy" would have copulated rather well with "Cosmic Cruiser". "Sunset Raga" is what is the most ambiospheric on “When Aliens Meet a Drop of Water” with a furtive approach which would complete a trilogy of harmonies with a cosmic tendency undertaken by "Paradise Island", whereas "Going Home" is an excellent ending which gleans here and there the ambiences, the heavy rhythms, the piercing guitar solos and the melodious approaches of this interesting find that is “When Aliens Meet a Drop of Water”; an inescapable if we are a big fan of Optical Race and those who, like me, were fussy about this work rich in musicality from Ralf Wadephul. One of the dangers which watch for an artist having a bicephalous artistic entity is to encroach on the approach of a personality to the detriment of the other one. Uwe Saher manages at once two careers on both fronts in the universe of contemporary EM. 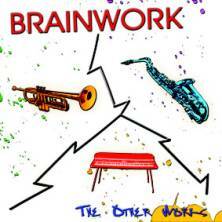 There is the Element 4 project, which is some compressed dynamite with strong and powerful rhythms, and this one of Brainwork, which is a more dreamlike EM molded in the paths of Berlin School and sometimes of New Berlin School. On Earcatcher, released in 2010, Uwe Saher had already brought his boiling character of Element 4 in the poetic universe of Brainwork with a result that had destabilized his fans. After a soft return to basics in 2011 with City Lights, Saher melts his two entities with a musical project which took root at the beginning of the 90's. “The Other Works” indicates perfectly its naming. It's an album which is totally the exact opposite of Element 4 and Brainwork, with a music which is nevertheless a delicate fusion of both approaches. A little as Software had made it, Uwe Saher incorporates groove and funk rhythms into envelopes of mists and ambiences a bit cosmic which restrict the liveliness of these rhythms. If the result leaves perplexed the fan of Brainwork, the latter is fast seduced by this musical mixture where the elements of Berlin School embrace marvellously rhythms which are sometimes pure, without ever being hard. The writing of “The Other Works” goes back at a time where Uwe Saher had the ears flooded by fragrances of progressive and experimental jazz. Flanked by the trumpeter Piotr Bal and by Erdal Tosun on saxophone, Uwe Saher proposes a collection of 12 tracks with a slightly variance in rhythms and where the percussions reign as absolute master above melodies finely sculptured by a section of brass instruments and a synth with very catchy solos. And "French Love" sets the tone by spreading its bewitching earworm by the means of a melodious line of arpeggios which sparkle with hesitation on a bed of fluttering sequences. Even if the rhythm is finely jerky, its envelope of funky-dance remains frozen in a felted atmosphere where are murmuring some suggestive breaths, are floating mists of Venus, which lay down these moods of floating disco, and is singing an enticing synth solo. These soft rhythms, a bit suggestive, which are trapped in morphic ambiences legislate the beauty of this ode to lunar dance-music. Closer to groove, with a puny sensual approach, "White Desert" sets the stage to the brass section of “The Other Works” with Erdal Tosun on saxophone who spreads his dreamy solos on a lunar down-tempo structure. "Bird Dance" offers a kind of cosmic trip-hop approach with a very lively rhythm which skips on a beautiful carpet of percussions to twinkling strikings and a bass line with slow chords vibrating of a hoarse sensuality. The table is on for a great duel between a trumpet and of its lively harmonies and a saxophone with its nasal breaths suppressed by its cornet of solitude. We like? We shall then love "Spring Mood" and its enchanting hip-hop which rings in our ears with percussions struck on bottles and its very jazzy brass section as well as "Easy Go", which is a little more of a lounge style, and its striking solo of saxophone which cries on a beautiful meshing of percussions and their lively tones. And the more we move forward in “The Other Works” and the more we are subjugated by this stunning play of drum loops. On "Drive" they forge a fiery West Indian rhythm with grapeshot of percussions and steel-drums which strike a bass line which is gurgling of its elastic tones. We would believe to hear a mixture of Earth Wind and Fire, Phil Collins and Software on this very lively track as well as on tracks more relaxed such as "Sweet Honeybee" which is a beautiful mixture of hip-hop and down-tempo with a very lyrical synth. Speaking about synth and about poetic solos, "Skyscraper" is a very good track of New Berlin School with superb synth solos which parade on a rhythm difficult to label. Purely funky, "Urban Groove" bewitches the senses with his bumpy rhythm which tramples on in with suave scents of jazz with harmonious breaths filled by acid. There would be Herbie Hancock hiding behind the consoles that we would discover him with "Go Happy" and its structure of funk moulded in a curt and jerked rhythm which collapses under Tablas style of percussions. It's very lively, like "Shirin" and its complex mood of acid jazz. Same melody and same theme at some fine variances near, "White Desert- Improv Cut" stars the very melodious saxophone of Erdal Tosun. Evidently that “The Other Works” can confuse the fans of Brainwork, because it's not a Brainwork work. It's one of Uwe Saher who goes all out in a universe of dance music with rhythms a bit difficult to clearly label so much the interbreeding of the kinds is melting inside these music structures of 5 minutes. Except that Uwe Saher being Uwe Saher, the music, especially the melodies, is always so mesmerizing. The brass section? Bah … It flows slowly on this brilliant play of the loop drums which is as much lively as imaginative. And in the end we like to discover these 12 tracks of dance music which have all this fingerprint of Brainwork, even if very partial. And Brainwork being Brainwork, we eventually succumb and love. We just have to give a try. Least that we can say is that Stephen Parsick is not afraid of ambitious artistic projects, projects that are out of the blue. Created in the Siberian coldness which covered the whole Eastern Europe from December 2009 till February 2010, “Permafrost-Music for Hibernation” is an ode to iciness which has rages in this sector where the wintry temperatures exceeded very often 30 degrees Celsius. Colds which bite the skin and freeze the eyes as the soul of nature that the German sound sculptor has knew how to catch with an artistic approach worthy of the great sound and wildlife explorers. In order to well seize this ice and coldness symphony, Stephen Parsick has settled microphones in order to record the murmurs of the ices, wind and snowfalls. The result is a stunning enchanting world where the solitude of hibernations can be felt from the tip of our ears. An ice which is forming or which is fissuring opens this polar ode. Slowly the listener feels submerged by this glacier desert where the silence is the only witness of an inhospitable environment. The long and slow atonal strata traverse this silence of snows, wrapping this wintry incursion of a heavy sound coat where linear streaks tear an ambiance of white marble. Such as a dance of auroras borealis floating under our eyes without producing the slightest sound, a slow symphony blows in the cold. It's an enchanting universe, and horribly beautiful, which blows in our ears. It's a freezing universe where the madness of the intense cold brings us to hear sirens murmuring beneath the ices. Ices which collide and whose movements are amplified by the range of the microphones. Caustic and glacial, the universe of Stephen Parsick ravels into our ears with a never ending brittleness and an insidious cruelty which is the resultant of the cold on a naked body. Throughout this ode to coldness and to loneliness, Stephen Parsick modulates its sonorities in order to drag the listener into the twilights of a winter that has no ending with multi strata of drones which glide under slow morphic layers. These are synth layers of a caustic soundscapes which reaches the paroxysms of tension while slipping into atmospheres with variations of weather. It's a cold universe. A somber one which unfolds with all the meticulousness of its Siberian exploration where are floating some beautiful synth layers sometimes obscures but also of a fine limpidity, a little as if the light wanted to pass through this thick curtain of solid water. Floating, with the slow modulations of the soft oscillations, the mordant universe of Parsick reaches its peaks of sonorous tranquility in a universe however upholster by heavy layers which tear the winter silence, like a huge knife which would want to mutilate a silk sheet beneath the reverberations of an amplified sonority. “Permafrost-Music for Hibernation” enrolls under the registers of experimental ambient music where his designer innovates within advanced techniques of recording. The outcome is a strange winter symphony where the cosmos is frozen under water, but however still perceptible because of the sound fauna which lends itself easily to the delirious of a loneliness where all can be intermingle, like mirages of a virginal coldness. 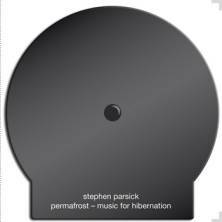 The fans of Stephen Parsick, and of his ambitious projects, won't be disappointed by this glacial ode to the abyssal blackness because, even if the universe of ambient is strongly solicited, the German synthesist is successful in always to astonish by his sound structures as limpid as invisible, and this even when surrounded by a poetic blackness. 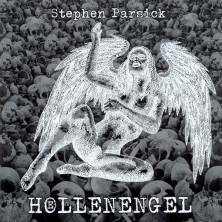 The least we can say is that Stephen Parsick is in a shady period where the atonal forms of a tetanized music seem to be far from its conceptual priorities. In the same stride as debris, although less heavy and more atmospheric, “Cambrium - Music for Protozoa” is a more psychedelic than structured musical journey, depicting so the microscopic universe that surrounds us on some atonal movements intertwined into the heavy and full of life musical structures of a noisy musical life. Recorded in concert on May 29th, 2009 at the University of Bielefeld for the annual night of sounds, this last release from the German synthesist is a sound reflection of an effervescent microbiological world. It's a surprising musical journey where the microscopic life is bubbling throughout the ARP 2600 and VCS-3; synths known for their warm tones with faces as much astral as hallucinogenic. Emerging softly from the meanders of a boiling life of metaphoric streaks, "Proterozoikum" floats in a spectral universe where choirs and acid breaths are flavoring a micro organic life of strange luminous parasites which contort themselves like sound jellyfishes. Odd laughers of ashed witches emanate from this context where a subjacent life reigns with color palettes proper to Stephen Parsick. The first stammering of a world out of control are popping out on the overture of "DNA Sequence". These are spasmodic sequences which collide in a strange fusional ballet, dancing in a dislocated way such as marionettes that we imagine to be germs, or enzymes, which converge on some point of entry. It's an abstracted dance of a microbiological world which spreads its tones among organic and ambiospherical structures like we heard on "Ekectric Soup Kitchen", "Amoeba", "Medusa" and "Radiolaria" and other structures livened up by a sequential pulsatory rhythm like on "Tribolite", which beats under somber strata in an arrhythmic flow, and the title track which merges on heavy reverberations whereas the heaviness and the reverberating roundnesses of "Urge to Live" are similar to the sound vividness of the last ['ramp] album; debris. 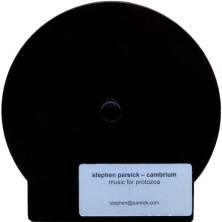 An abstracted cerebral journey or a sound exploration of an underlying life; “Cambrium - Music for Protozoa” presents us a Stephen Parsickin great shape. The German synthesist brings us where he wants to, either into the borders of a musical adventure where the stellar merges marvellously to a sonorous world that only himself can define with a multitude of organic tones which can easily survive in both worlds. The strength of a black and ambient work is its capacity to seduce with atmospheres where squeak, shout and float pale and scarlet tones. You remember this long dark and ambient work that ['ramp] and Markus Reuter had concocted in 2007? ceasing to exist had riveted the lovers of deep floating music, to fine scents of industrial music rotting in its toxic ashes, at their headphones. About 5 years later, Stephen Parsick and Markus Reuter put back that with a black and intensely floating album which is to the measure of their unequalled talents to breathe life to dead structures. “Lament” is a powerful sound cocktail where the multiplicity of droning layers from synths and guitars gives life to these scattered implosions which punctuate the almost oniric blackness of a work which is savoured completely curled up in the comfort of a good pair of earphones. It's an intense work which doesn't stop seducing at the minute that it insinuates itself into our ears. Winds. Spectral and iridescent lamentations debauch the peace of mind of "Weigthless Particles". Agglutinated in an immense sound mass, they float with a mixture of threat and seraphicity. The guitar of Markus Reuter releases a perfume of serenity with its more bright layers which defy those more intense and black of Stephen Parsick, while that the fusion of their elements brings a bit of musicality on these lifeless darkness where breezes of weeping-metal are squealing in the mists of Mellotron mislaid here and there. Purely ambient, "Weigthless Particles" defines the main lines of an album which is just as much. The beautiful "Hoarfrost" cries for solitude with its layers of guitars which weep into the shapes of solos, shouting its disarray in the morphic and abyssal sweetnesses of the layers of a synth which eventually spreads its heavy dark veils. A furtive fight between the loops to the deformed echoes by the guitar and the density of the synth pads, guided by a biblical ferocity, bring the beautiful and dark "Hoarfrost" to its dying breaths, where we still hear the ultimate breaths of a fatigued guitar. Short but intense, "Lament" makes its beast mooing through the loops of pulsations which gurgle with strength in a lunar setting drawn by the waves of a guitar which borrows the Arabian breaths of a lost civilization. We have just overtaken the borders of the beast and of its den with the long and without any forms "And all which is not" which plunges us in full agony. Heavy and black, the intro ends to disperse its Mephistophelian layers which roar as howling winds dismantling mountains in a powerful abyssal descent. There is a mixture of terror and dirty poetry in these first 7 minutes which graze any forms of virgin thoughts and where the doubt between the coexistence of two parallel universes is melting bit by bit. The vertiginous descent ends in a bath of fusions between these numerous synth layers and those of an abstract guitar which tear the listener by the strength of their blackness and the serenity of their luminosities. We are floating in a strange linear waltz where the evanescent tranquility remains the prey of the intestine storms which prowl all around this long fresco on the nothingness. We hear some reminescences of Michael Stearns' Chronos stroll here and there on a structure which is quietening little by little. And we arrive there. We arrive at these pulsations and these glaucous implosions which fed the vampiric ['rampian] atmospheres of ceasing to exist. And while we thought that the Parsick/Reuter duet had reached the zenith of the abstract art, "And all which is not" breathes again and is reborn of its toxic ashes to kiss a finale where the pernicious breaths of a quirky interbreeding throw a honeyed ambience of satanic serenity which will be in the heart of a finale puzzling with the very beautiful and melancholic "Reign of Dust" and the taciturn solos of Markus Reuter. "Lurk" offers the first semblances of rhythm on “Lament” with Tibetan carillons which resound in an outlandish black mass. Even if the winds moo with opacity, we hear all these small sound details which make the strength of this somber union between Stephen Parsick and Markus Reuter. The atmosphere weaved by this pile of multiple layers to ill-assorted tones is as well intense as poignant. "Below Ice" surprises us by the ferocity of its alienating lamentations. This time the descent is of aggression with these hootings of schizophrenia which yell of insanity into scattered ice implosions. It's a skillful mixture between the crystalline and frightening tones of Permafrost-Music for Hibernation and the Reutertronics lamentations which rise with its Babylonian shouts on a finale to make dream the sound-effects engineers of the oceanographic works. With their approaches a bit poetic, "Below Ice" and "Hoarfrost" separate marvellously the sepulchral atmospheres which upholster the black universe of “Lament”. And, drawn from the cave of "And all which is not", "Reign of Dust" offers a finale of the most unexpected where the revival inhales the purity. 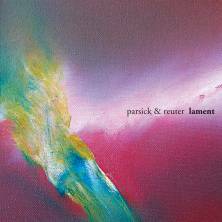 It's a very rare oniric nectar in Stephen Parsick's works and a monument of beauty on this intriguing ambient opus that is “Lament”. “Hoellenengel” is a dark album which draws its roots in the imaginary of the German synthesist who is a huge lover of deep black moods. Strongly inspired by Vangelis' Blade Runner, Stephen Parsick created his own story while attaching his musical vision to it. Hoellenengel is an angel of hell which torments and disturbs those he visits and it's from the depth of darkness that some acrid winds pierce the walls of innocence. As on Blade Runner, and of its brownish vapours, dark metallic lines to industrial taste pop out from an opaque universe with orchestrations of ghouls. “Hoellenengel” becomes then a slow dark procession with heavy and slinking movements which follow a tangent at both lugubrious and harmonious. On the wings of an underhand angel, the opus is waltzing on atonal movements where certain melodies emerge from Mephistophelean nothingness, as by enchantment, awaking our apathetic stupor. It's a tenebrous universe filled by droning sonorities, like these eyes of glass eye of a Cyclops which lights up the shadowed towers and of which the rotary axis sweeping up the buzzing pulsations. And this world of “Hoellenengel” is as blacker than it could be sordidly strange. It's an increasing world of nebulosity where the life fails more than it lives on. In spite of this quasi-total darkness, there are good moments of beat where the rhythms are carrying away like on "The Queen", where Stephen Parsick amazes with a sequence movement completely built on an analog base, and "The Bard". The remainder! There are ashes of angels which invade a choking universe where the light ceased living and the life is lived in the distraught eyes. The beauty of this album gets measure to its design. It's a long method improvised and entirely played on a DAT. No sequencer, nor computer, or MIDI and overdubs. Woven of an enchanting blackness, this lugubrious fresco is built keys by keys giving so an astonishing result. “Hoellenengel” is a dark album where the ambient and the experimental phases take their sources of inspirations in Vangelis sonorities as well as the darkness tribal moods of Steve Roach and the effects of weightlessness that we find on the superb Chronos by Michael Stearns. With such a great ocean of inspirations, Stephen Parsick weaves the black ambiences of a story which can only be appealing and this even if it's of a prophetic heaviness. Spring! Ah...What a good period of the year, and of life, to go after the discovery of this soft and oniric compilation of Richard Bone. Avoiding all labels to establish himself in a style of the most diversified EM, the American synthesist, who released a beautiful opus of ambient organic music in Serene Lives of Microbes in 2006, opens the vaults of his memories in a compilation of his most accessible works. Available in downloadable format (we can also obtain it in a CD-r format), via the platform of the English label AD Music, “Anthology” risks to disappoint those who have waited for an ambient work to the abstract colors. Always unpredictable, it's rather from the garden of his introspection that Richard Bone decided to pick 20 fine musical pearls, pulled from his collection of albums on his label Quirkworks. “Anthology” breathes of its 20 bewitching melodies which roam on ambient, even abstracted, structures, on lunar down-tempos and on soft orgasmic jazz which transport our feelings, as time calms their incomprehension. After an intro blown by fluty breezes, "Waters of Assiyah" lays down a fine structure of jazz/ lounge fusion in the deep of our ears. A delicate melody hangs onto glass arpeggios of which the fight between their echoing, resonant and crystal clear tones stimulates a harmony whispered to our ears with such sweetness that we ask for more. 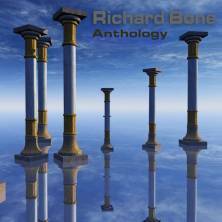 And, faithful to his very eclectic signature, Richard Bone amazes with this stunning clanic approach which drums finely on a seductive piano line, drawing so the main lines of an attractive musical rendezvous with a composer who is not afraid of misleading his style in a universe of a thousand sound delights. We find these fragrances of jazz which are cradled by soft mid-tempos like "Outside the Incrimination Field" and its vampiric breezes, the lively "Amorita Dive" and "Zumaphile Shift", while that "47 Youth St" sways the hips languishingly on a suave down-tempo to the smells of soft jazz. Beautiful ballads like "Aquaville" and "Always Drifting Down" have more tendencies of a lounge and ballads mix. "In Japa" is an appealing morphic lullaby illuminated by chords of glass which ring in the shade of delicate notes from a crystal piano, weaving a soft ambience of musing and melancholy. A soft pulsation of a bass line shakes the movement of the carillons which float in the breaths of suave seraphic choruses. It's a soft music piece where the ambient mood and the New Age melodies meet with harmony, like on "The Inland Sea" and its notes of koto which resound in ambient breezes, where sing birds which coo on the undulations of those furtive pulsations weaved in the tones which ring as a somber guitar of solitary cowboy. We also find in these lunar and meditative settings, tracks as "A Column of Glyphs", the very beautiful and Vangelish "Vesperia Pt 3", the somber and very pensive "My Pretty Debris", and the quiet "Unknown Waters" which floats on its black breaths and its discreet orchestrations. If "A Silent Season" sounds distant from the rest of “Anthology” with its lyrical acoustic approach, one would believe to hear Steve Orchard, "Beginning to Fade" is not outdone with its strange voices which sing on a rhythm as fuzzy as its voices, but livened up by moments of a morphic down-tempo. "By Any Other Name" follows with a languishing cosmic down-tempo. The melodious approach is embroidered in stars. "Imperial Glide" is another beautiful cosmic ballad with a tribal and filmic approach which enjoy a very good orchestration, like the sublime "Father of Pearl", boy what a great track! Then comes the very lively and hyper melodious "(You Are) Essence of Diamond" and African fragrance) as well as "Fractal Ashes" which is darker on the other hand. Since the time that we know the magic of David Wright, it would be the time to recognize his talent to unearth composers and musicians who are capable of surfing on his imprints as melodic than melancholic and on his lunar ambiences where the rhythms as the ballads adopt the forms of their fantasies. And it's the entire story behind this very beautiful compilation of Richard Bone. We listen to “Anthology” like to get a surprising complicity with life, and this no matter of its moments. It's soft and dreamy, dark and melancholic, ambient and livened up. In brief, all our contrarieties wrapped in a musical texture which answers the ambitious criteria of the label AD Music. Surprising and very good!